As I said earlier, I’m determined to have a fairly relaxed, low key Christmas this year and not to get stressed over the things I haven’t managed to do or buy because I couldn’t afford to, either money or time wise. However, I admit that since December 1st, I’ve had that Christmassy feeling, and I’ve already started to feel anxious about the things that are not done yet! Why? I don’t know! I know, we can only do it a day at a time and just do what we can, but when I start seeing everyone’s Christmas lights and decorations up, I feel as if I ought to! Anyway, enough with worrying about what we haven’t done yet, let’s look to what we have managed so far! a villager in Snow White (Danny) and a party girl (Caitlyn). Nothing very traditional this year! 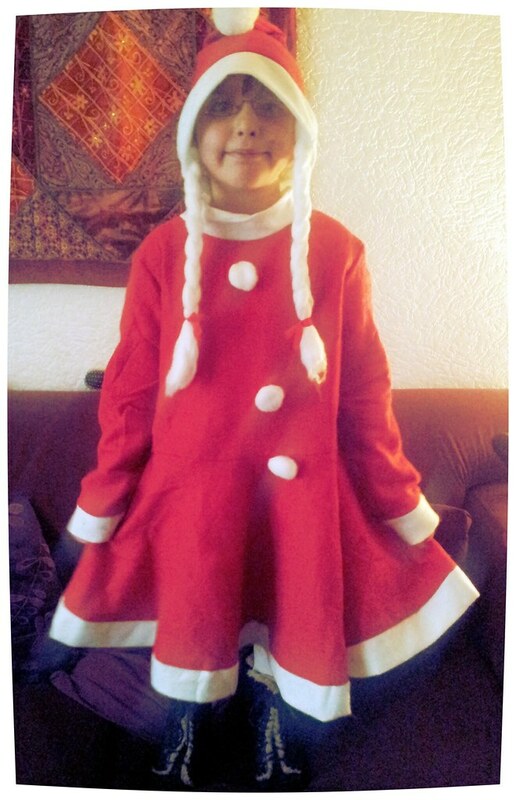 Izzy has an Angel costume to wear to Christmas parties, so we will fit tradition in somehow! 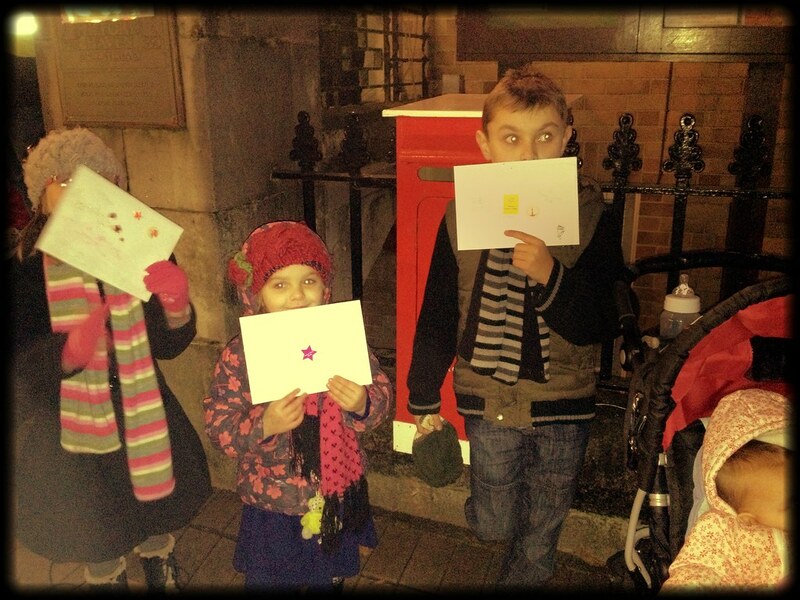 Letters to Santa have been written, decorated and posted. 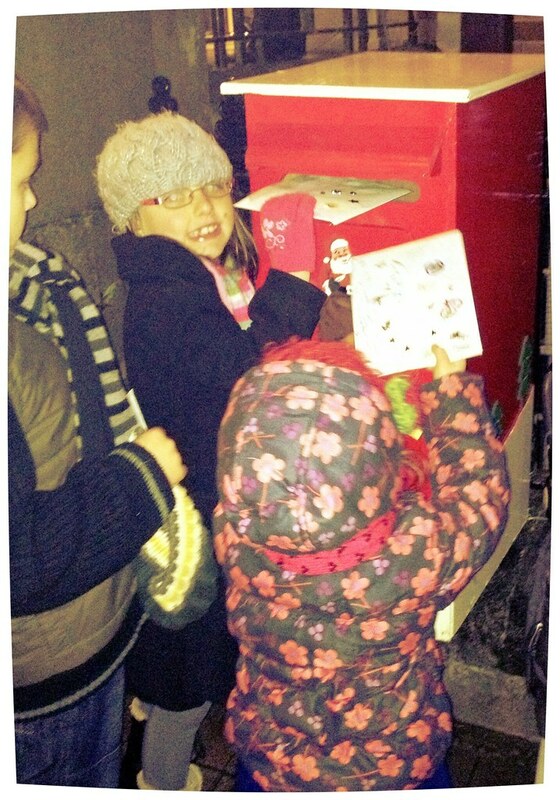 I love reading their letters to Santa. Danny always asks how Santa is, hopes he is well and tells Santa lots about the year he has had, and Rebecca wrote that she hopes she has made it onto his “Good List” this year (not that she didn’t last year!). So sweet! Caitlyn dictated to me what she would like to write, then copied over and wrote her own, “love from Caitlyn”, I read Isabelle’s mind to write hers, of course! 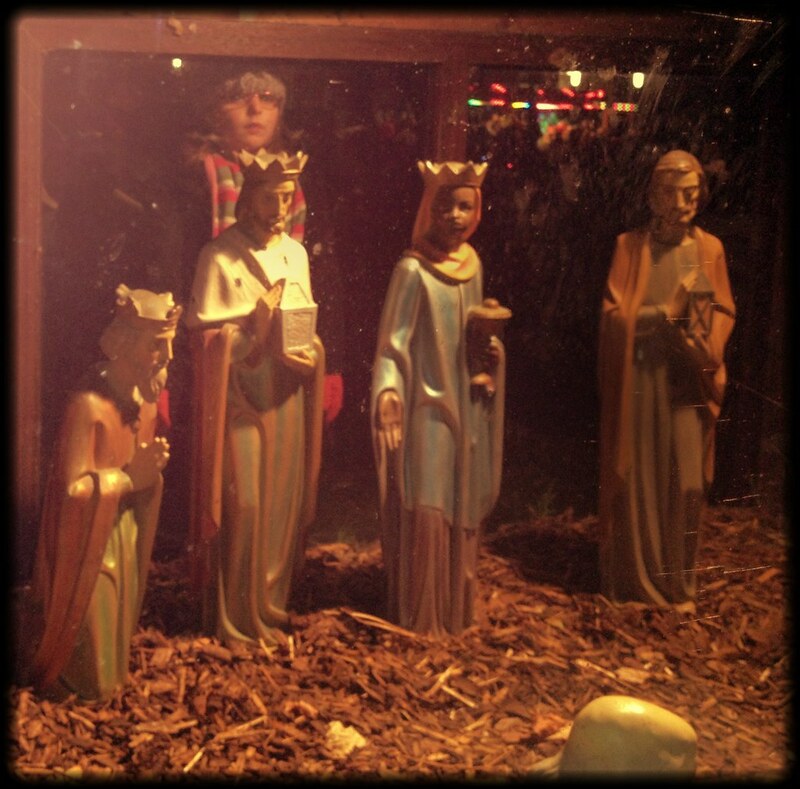 The 1st of December saw the start of our Mary’s Star Path Advent Calendar. The 2nd December saw the first Advent Sabbath. 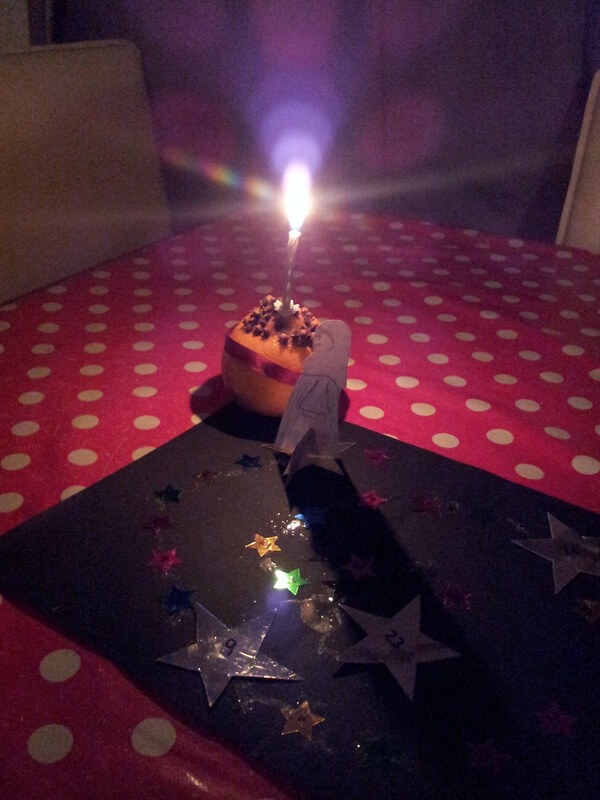 As Danny had made a Christingle in school, we decided to light his Christingle to mark the Sabbath. We will make a fresh one this Sunday, so we will have two Christingles lit and so on. It will keep the scent stronger, if we make fresh ones each week. Mmmm. 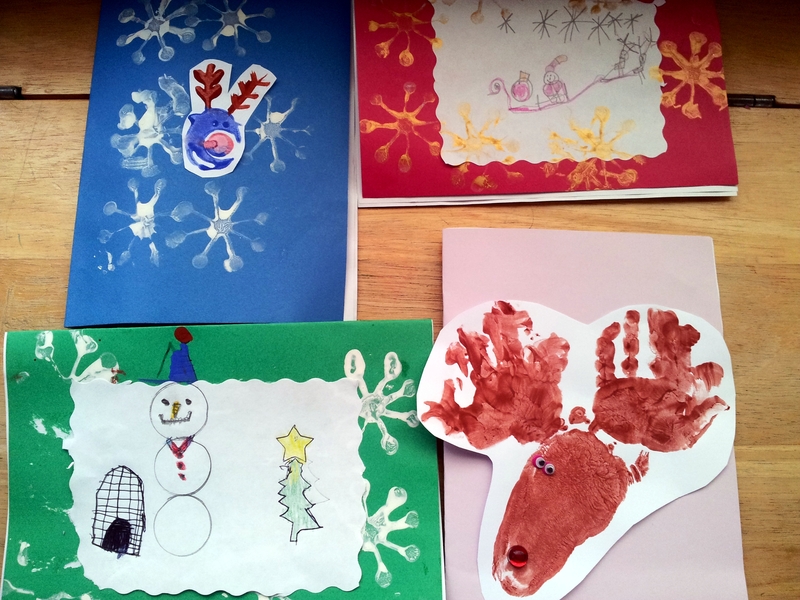 Traditionally, we start growing our crystals and making snowflakes during the first week of Advent. We haven’t yet…but we will. For now, we have added some pretty pebbles and shells to Mary’s Star Path. This year the First day of advent coincided with the turning on of our town lights, so we went down town and joined in with the Lantern Parade. Danny didn’t make his lantern in school this year, as he was on a trip, so they all had to carry “home made with Mummy” ones (sorry kids!). Next time I see cheap paper lanterns in the pound shop, I must pick them up ready for next year! The lantern parade is lovely, but Danny got very tired walking around. 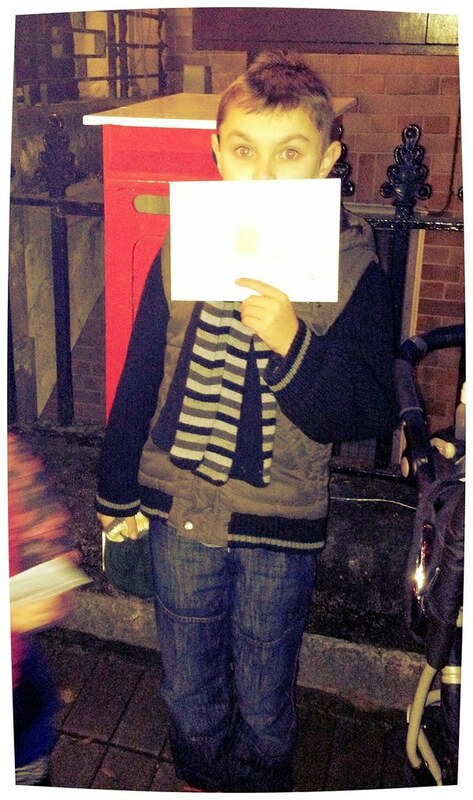 He was relieved when we all arrived at the Memorial Gardens, to count down Santa turning on the Christmas Lights. One year we all counted down and the lights didn’t turn on! I always expect it to happen again one day! 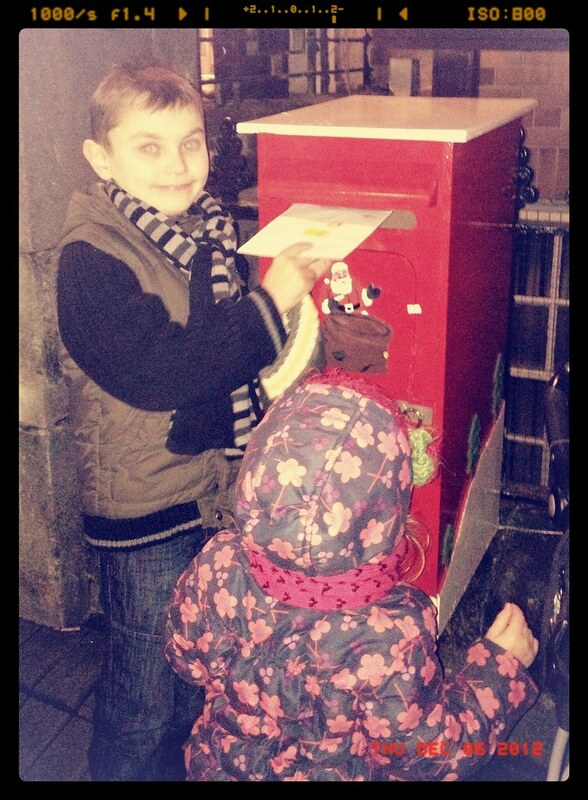 We always post our letters to Santa in the post box outside the Town Hall, on the night of the Lantern Parade. It feels more special when we know Santa is actually there. 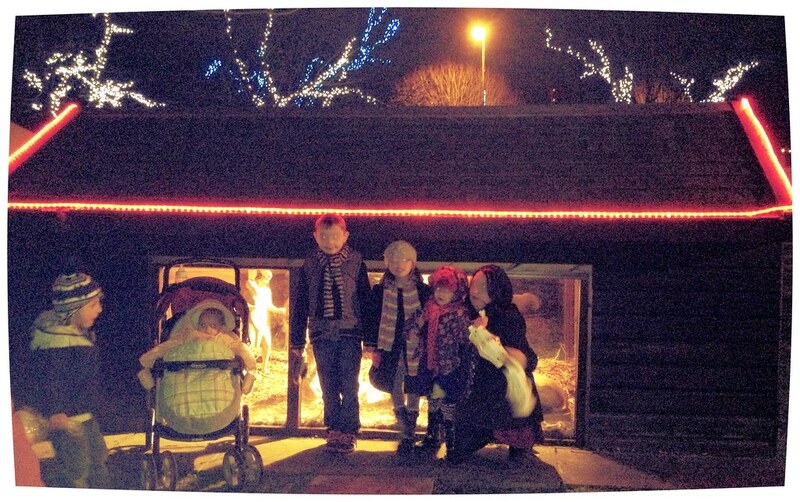 I forgot to charge my phone before we went to see Santa, so thanks to Ceri for sending me all the photos in this post. We took photos of each of the children posting their letters. 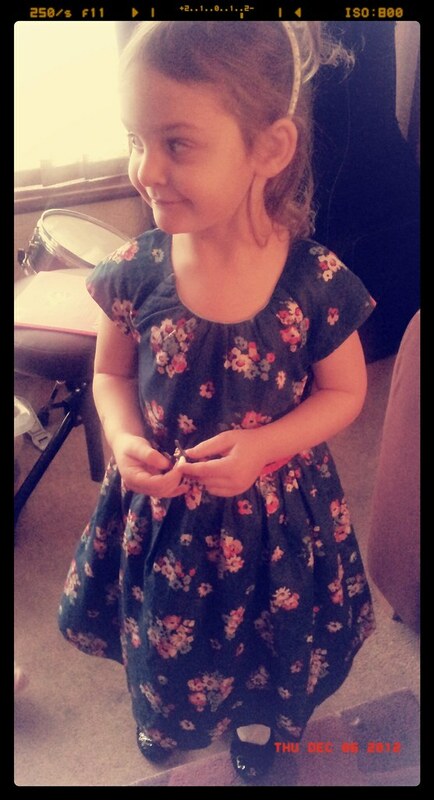 I nearly forgot that Isabelle had one to post too…we could have had a very sad baby on Christmas Day! The Nativity Lights are on, so we can see the Nativity scene more clearly now. There will be a crib service here on Christmas Eve too. 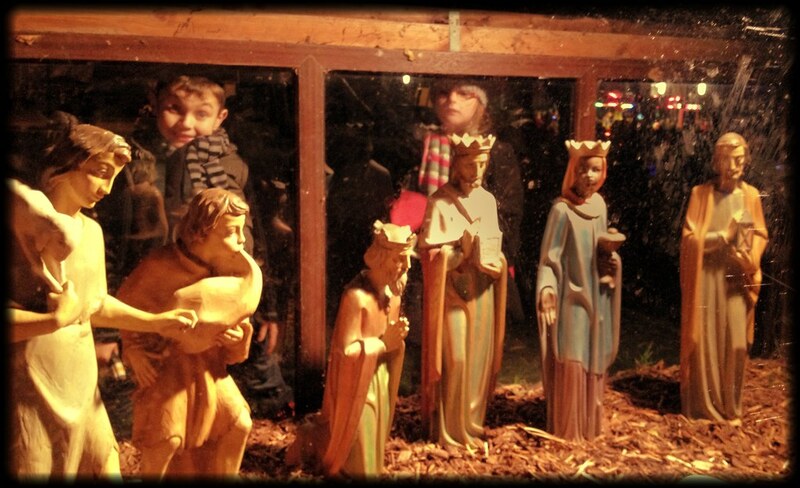 The kids love to pretend that they are in the stable! 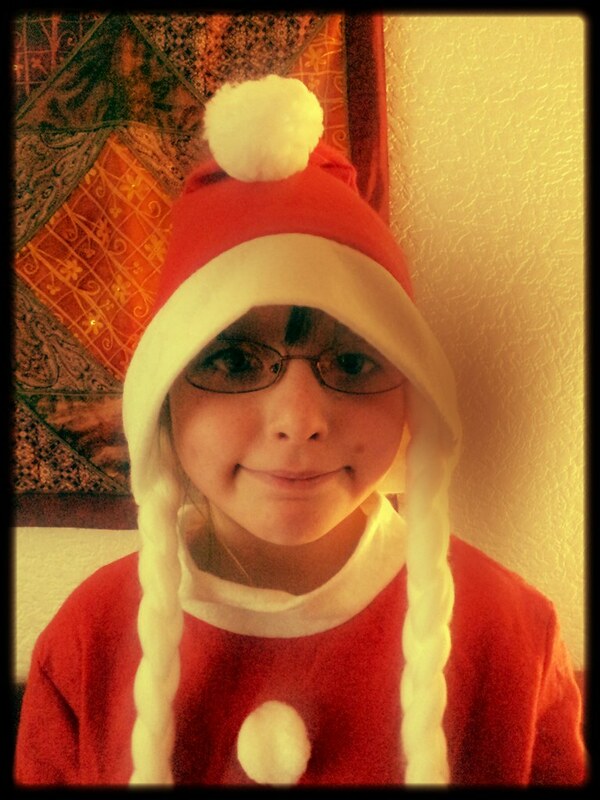 Danny is going to see his first Pantomine of the season tomorrow, with school, at the Torch Theatre. We need to put our tree up this weekend. I really wish we could put up a real potted tree, but it would not be fair on Izzy, as she would be crawling on sharp needles and trying to eat them probably! One more year for our plastic masterpiece! The kids have to write their Christmas cards out this weekend too. I am not sending adult ones, apart from my homemade family cards. Instead, we will be donating to “Lights of love”, which raises money for Little Hearts Matter. I will light one light in memory of my Father, and another light in celebration of Danny. We attended the actual “Lights of Love” ceremony two years ago. It was very emotional for ourselves and Danny. He felt real “survivor’s guilt” and it really brought home to us how lucky we are. 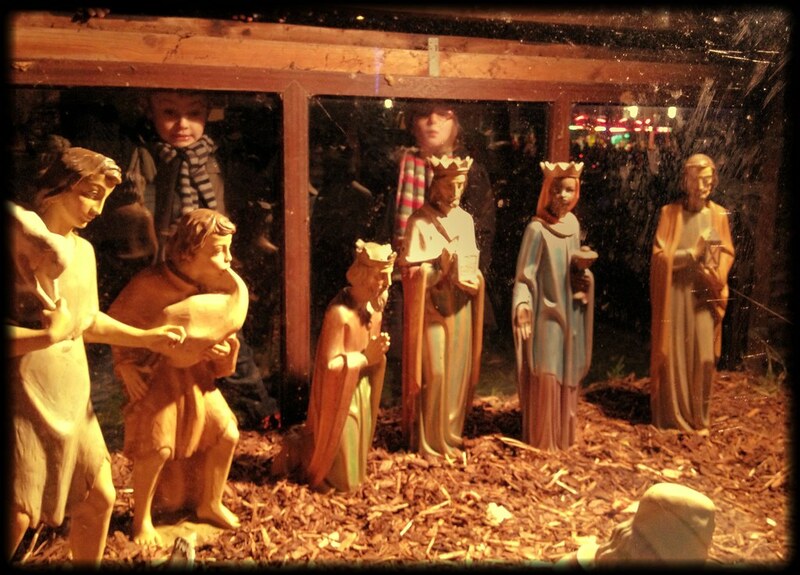 I hope you’re having a lovely advent! How many times have you been asked are you ready for Christmas yet?! 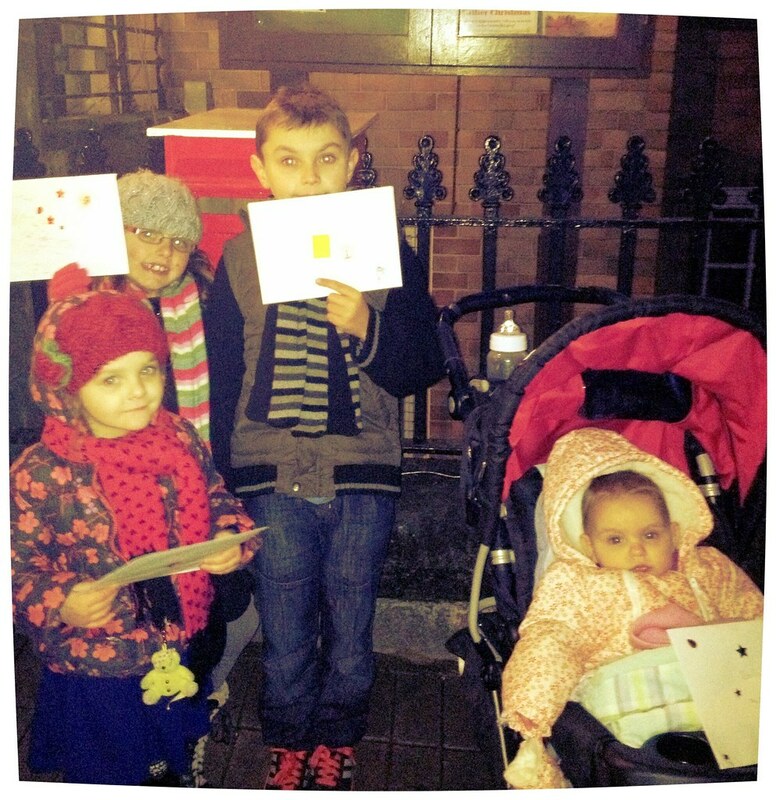 Your children decorated their letters to Santa beautifully. We will have to try that this year.